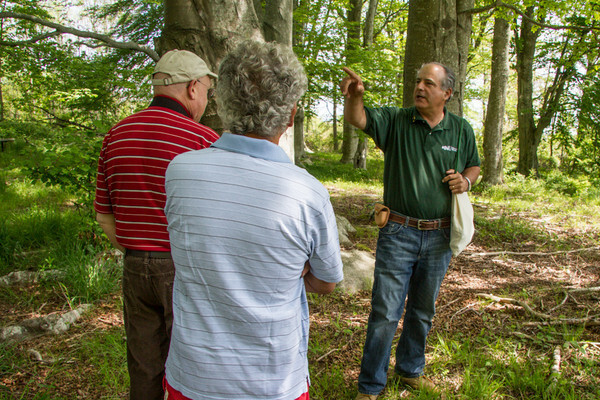 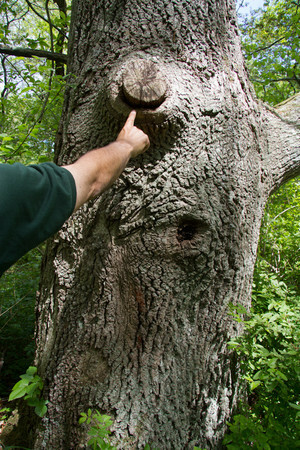 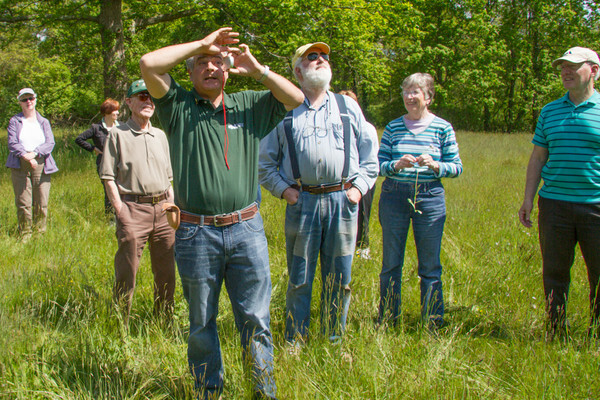 On Sunday, May 20, John Campinini of the Rhode Island Tree Council led a walk on Canonchet Farm in search of culturally, historically and biologically notable trees to be included in the Rhode Island Champion Tree Registry. 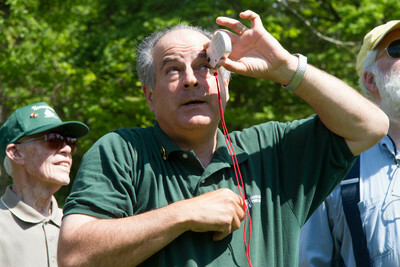 John, former Forester for the City of Providence and founding director of the R.I. Tree Council, showed how trees are measured and evaluated for entry into the registry and identified two trees on the property, a white oak and a tupelo, as possible Champions. 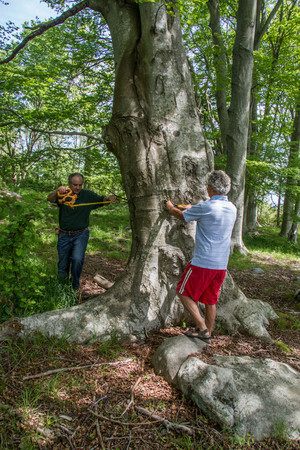 At the right, John receives an assist from Bill Bivona (right) as he measured the girth of one of the beech trees in the grove near Anne Hoxsie Lane. 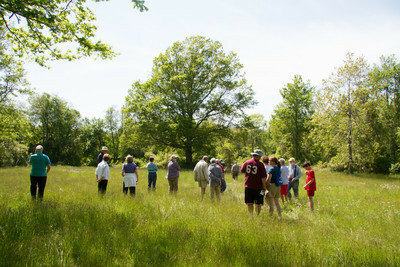 All photos by Jan Armor.